BT has launched a new landline phone that lets customers control their calls by allowing them to block calls from “International” numbers, “Withheld” numbers, or specific numbers. 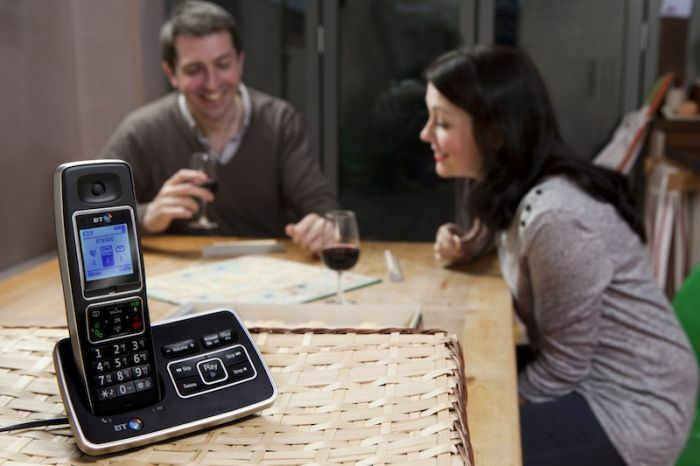 The BT6500 gives customers the power to block up to 80 per cent of unwanted calls, such as PPI claim sales calls and other marketing cold calls. Nuisance calls are a familiar issue in the UK with companies who do not want to be identified flouting the rules. BT receives more than 50,000 calls to their Nuisance Calls Advice Line each month. Especially irritating are silent calls, generating up to 3,392 complaints to Ofcom per month. Of those who receive silent calls, 57 per cent receive five or more calls a month, causing distress to customers. Ofcom also found that just over seven in 10 (71 per cent) people have received live marketing calls on their landline in the past six months. Older consumers are more likely to have been affected; with four out of five (80 per cent) people aged between 65 and 74 reporting they receive hese types of calls, making a solution all the more important for people who are elderly, vulnerable or have a disability. The BT6500 comes equipped to help combat the irritations associated with nuisance calls. Users can specifically block calls from “International” numbers, “Withheld” numbers and numbers without a caller ID, which will cancel out most unwanted calls. This is ideal for customers who find it difficult to respond directly to unsolicited calls, perhaps due to the effects of a stroke or stammer. The handset also allows users to block up to 10 specific numbers, so any nuisance calls from a known number can be automatically blocked. The BT6500 has a “Do Not Disturb” mode, a feature that is perfect for customers who want or need to put a total “ring fence” around who can call them. Do Not Disturb mode switches off the ringer and can either be operated manually by the customer or they can set it on a timer. For those important calls from people you still need to keep in touch with, even when Do Not Disturb is switched on, numbers can be saved as VIP contacts in the phone’s memory, ensuring that families and carers can always get through. Blocked calls will be silently routed to the answer machine so genuine callers can leave a message, except when the customer has blocked a specific number. The BT6500 is also equipped with controls which allow you to block outgoing calls to selected numbers, for example, premium numbers, mobile numbers, international and the speaking clock, but will still allow customers to call contacts designated as VIPs in the phonebook. This can be particularly useful for people with dementia or compulsive obsessive disorders who involuntarily make nuisance calls or randomly call numbers. BT is launching two variants of the phone with different designs, the BT6500 and the BT6510, which have exactly the same functionality. The BT6500 is available from BT, Argos and Amazon, and will be available from Tesco and Sainsbury’s from the end of February. The BT6510 is available from John Lewis and Currys from the beginning of March. BT takes the issue of nuisance calls very seriously and is constantly looking for ways to help our customers to manage their calls. We are also working with Ofcom and industry and consumer groups to establish ways to tackle this issue, which we know customers find frustrating. For more information visit www.bt.com/phonedeals. Be the first to comment on "BT block nuisance calls with BT6500 phone"